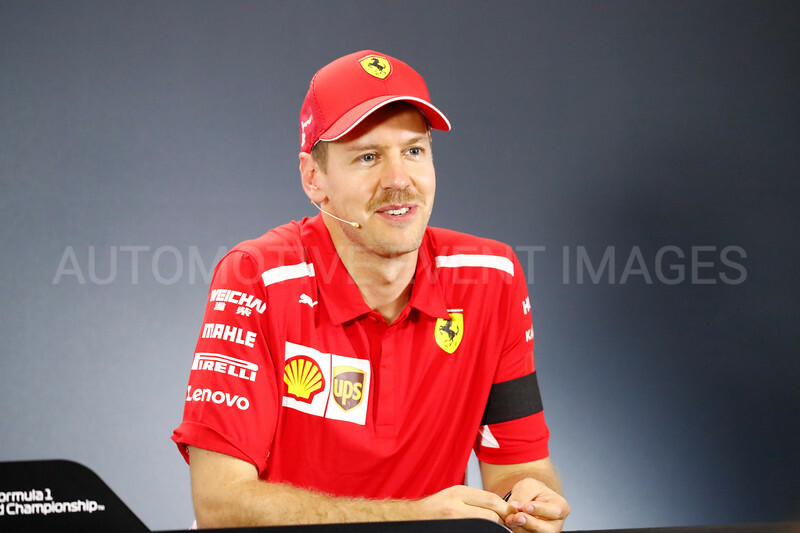 There are no certainties in Formula 1, but Ferrari taking pole position for the FORMULA 1 GULF AIR BAHRAIN GRAND PRIX 2019 is as near to one as you can get, given that the cars from Maranello were comfortably fastest in all three free practice sessions. 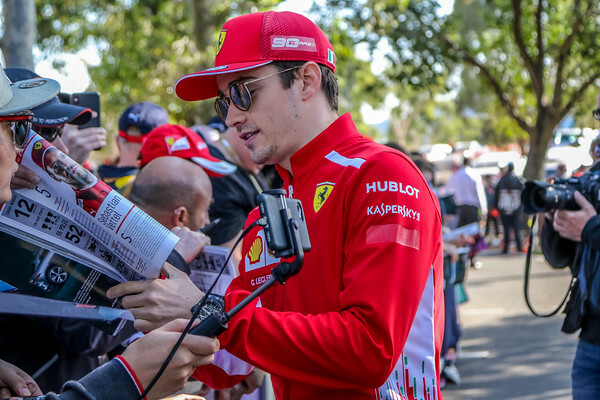 However, one aspect of this performance that was harder to predict was the fact that it was Charles Leclerc, in only his second race in red, who took the number one slot. It was the first time that a Monegasque driver has claimed an F1 pole and his fastest time of 1.27.866 meant he was the only driver to get under the 1m 28s barrier. This was just the icing on the cake, as his previous best, a 1.27.958, was already good enough for pole. In fact, Scuderia Ferrari Mission Winnow made a clean sweep of the front row, as Sebastian Vettel was second fastest. The German only did one run in Q3, having been forced to go for two in Q2, obviously using the Pirelli Softs on both of them, as these were the main choice for qualifying. It meant he therefore only had one set left for Q3. His 1.28.160 was quicker by a whisker than Lewis Hamilton’s first run in Q3, which saw the Englishman post a 1.28.190, that he did not improve on in his final attempt. It is the 62nd time that Ferrari has locked down the front row, thus equalling the record previously held jointly by McLaren and Williams. The second row is an all-Mercedes AMG Petronas Motorsport affair, with Valtteri Bottas having gone fourth fastest in 1.28.256. All four Power Unit suppliers in the sport feature in the top ten qualifiers. Honda is there thanks to Max Verstappen, who was fifth fastest for Aston Martin Red Bull Racing, while Renault could count on a seventh place for Carlos Sainz and a tenth for his McLaren team-mate Lando Norris, the latter again taking the best rookie spot here in Bahrain. However, for the French company this was possibly scant consolation for the fact that, in their own cars, Nico Hulkenberg got no further than Q1, while Daniel Ricciardo failed to make it to the top ten. This time the Australian missed the cut by 17 thousandths of a second, which is an improvement on the 38 in Melbourne. It was an excellent day for the Ferrari-powered teams, as the Haas duo of Kevin Magnussen and Romain Grosjean were sixth and eighth fastest, although the Frenchman was given a three place grid penalty for having impeded Norris in Q1. The final Ferrari PU in the top ten belonged to Kimi Raikkonen, ninth fastest for Alfa Romeo Racing. Grosjean’s penalty puts Ricciardo into the top ten on tomorrow’s grid. Of those who didn’t make it to the top ten shoot-out, the happiest was undoubtedly the third best placed rookie, Alexander Albon, who was a strong twelfth in his Red Bull Toro Rosso Honda. The most disappointed, apart from the aforementioned Hulkenberg, is probably Pierre Gasly, who didn’t manage to get higher up the order than thirteenth. According to Pirelli, the best strategy tomorrow is a one-stop, starting on the Medium compound, before switching to the Hard. This only works for those who have a free choice of tyre for the start, meaning the drivers from eleventh place downwards. That could make for a spectacular race, given that the top ten must start on the Soft tyres used in Q2. However, the Hard was the least used compound in yesterday’s long runs, so there could be some surprises in store! Nicholas Latifi claimed the first win of the 2019 FIA Formula 2 Championship season with a storming drive in this afternoon’s Race 1, making a strong start and overcoming a slow pitstop for victory ahead of Luca Ghiotto and DAMS teammate Sergio Sette Câmara. Mick Schumacher (PREMA Racing) was making his debut in the category and managed to take eighth place off Nobuharu Matsushita in the Carlin car on the very last lap of the race. It means Schumacher gets to start tomorrow’s Sprint Race from pole, as it runs with a reverse grid for the top eight from today. Another rookie, the winner of last year’s final GP3 series, Anthoine Hubert (BWT Arden) had a great race, climbing up the order from eleventh place on the grid to take the chequered flag in fourth spot. FORMULA 1 GULF AIR BAHRAIN GRAND PRIX 2019.